Advice: Patience. You will get ich at some point. You will have diatoms at some point. 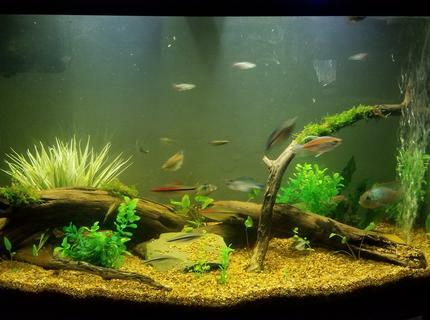 You will lose fish, don`t get discouraged. 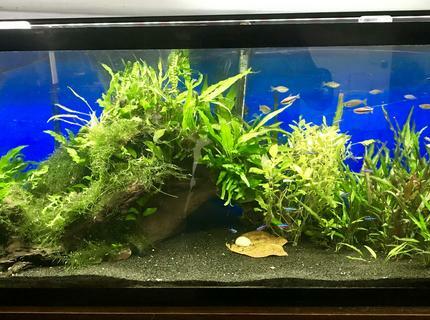 Corals/Plants: wisteria, rotala indica, pennywort, Christmas and java moss, anubias on driftwood, a mystery willow- bushy plant back left, frogbit, and a bit of dwarf hairgrass. 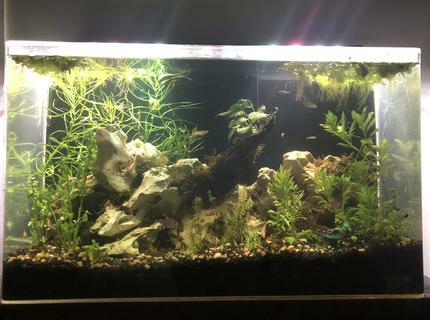 Description: 46 gallon bowfront community tank. Contains both live and artificial plants. 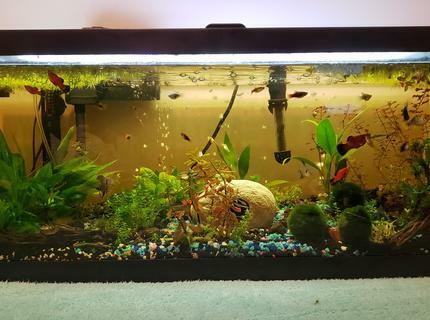 About Yourself: My girlfriend and I got into having small tanks after moving into a condo where a single large tank was not an option, we now have two 25 gallon, three 5 gallon, and two 10 gallon tanks spread around where we breed various shrimp and platy, and keep two community tanks. 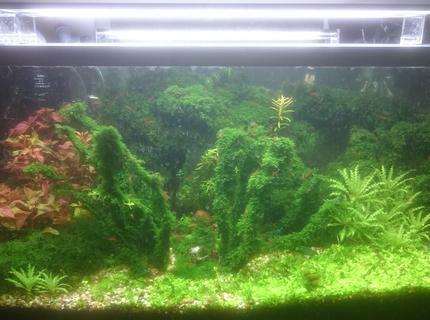 Corals/Plants: Pearl Weed, Various Amazon swords, Monte Carlo, Salvinia minima (water spangles), Ludwigia Repens, Java moss, Java Fern (windelov), marimo moss balls, unknown repens. 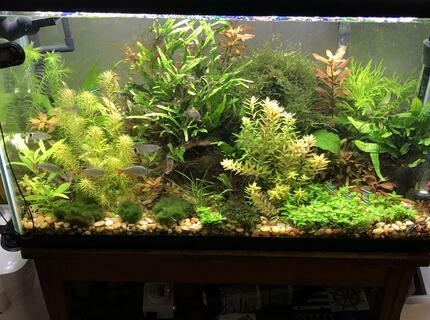 Advice: Well planted, cycled, and living tanks with light bioload from fish and heavy growth of plants can really make for a healthier tank. 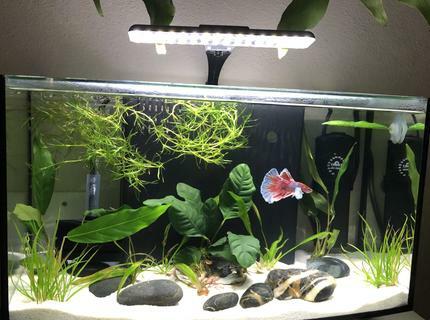 Quarantine any additions before adding them of course!Any plants from the store I rinse gently in tap water and leave in a quarantine tank for at least a few days to make sure nothing is growing on them and I didn't get any hitchhikers. Fish are also kept for a week in the quarantine tank before being admitted to the community tank. 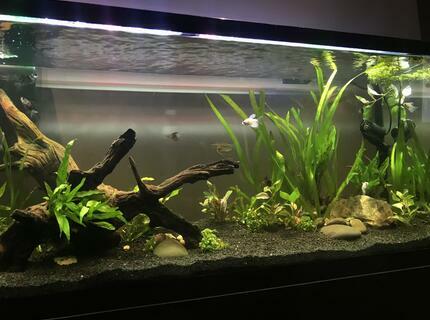 Description: Our 25 gallon community tank. The yellow tint is tannin from the cholla wood and leaves, and the light is softer and more shaded because the water spangles are thick. 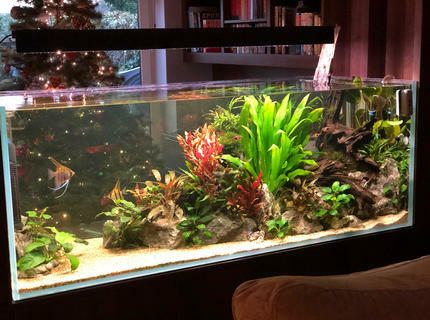 Our fish seem to prefer the shaded areas, and most of our plants don't require heavy light to grow, so we let the tank remain somewhat lower light level than average for their comfort. If you want to avoid this tint, just boil the wood and leaves you want to add to the tank for a longer period, we usually only boil wood and leaves for 10 minutes for small pieces since we like the tint.